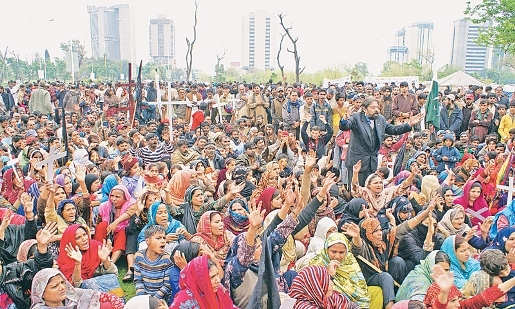 Christians in the Pakistani capital, Islamabad, are facing eviction from their homes, after the Capital Development Authority went to the country’s highest court to request the demolition of the slums in which many of them reside. Many Christians have lived in slums for decades, ever since the partition of the Indian subcontinent on religious lines in 1947. Before their conversion to Christianity, many belonged to the “untouchable” Hindu tribal castes and worked as servants for Sikh landlords, on whom they were dependent for shelter, food and clothing. In 1948, Christian parliamentarian S.P. Singha noted in the Punjab Assembly that the partition had rendered about 60,000 families – 200,000 people in total – homeless, after the Sikhs’ land was given over to Muslim migrants and Christians were forced to move on. 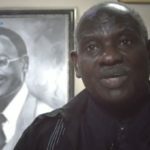 The Minister for Refugee Settlement and the Revenue Minister approved three to four acres of agricultural land for each Christian family, but the file containing these state documents suddenly disappeared from the secretariat. The Christian population in Pakistan’s most populous Punjab province at the time was about 450,000 and the number of homeless Christians further increased by April 1952. C.E. Gibbon, another member of the Punjab Assembly, then estimated that “nearly 300,000 Christians [were] homeless and on the verge of starvation, the consequences of which are too horrible to imagine”. Pakistan, carved out of India in 1947 as an area mainly for Muslims to live, inherited Hindu caste distinctions. Under the caste system, occupations have religious, economic and social implications and are associated with birth into a particular caste. When most of the metropolitan “untouchable” Hindu sweepers left for India, Christians – being illiterate, unskilled and also coming from “untouchable” castes – were expected to provide cheap labour as sweepers, as the majority of Muslims also observed caste distinctions and would not perform such roles. Christians created homes for themselves on the edge of cities, in abandoned areas, where they faced no pressure from the government. In 1960, when Pakistan created a new capital, many Christians settled in Islamabad, where they took up work as road sweepers and sewage cleaners. Now, as Pakistan’s population rises and land prices increase, the government land that Christians are living on is being sought. The Capital Development Authority has legalised a few slums in recent decades, but the rest of them it has described as a “main monetary source”. The authority told the Supreme Court that “katchi abadis” have ruined the landscape of the capital by encroaching on acres of “posh” land, turning them into “ugly” slums. Its report, worryingly full of grammatical errors and typos, concluded that the Christian population is a “threat to the numerical superiority of Muslims in the capital city”. “Most of the katchi abadies (sic) are under the occupation of Christian communities who are shifted from Narowal, Sheikhupura, Shakargarh, Sialkit (sic), Qasur (sic), Sahiwal, and Fasialabad (sic) and [have] occupied the Government land so boldly as [if] it has been allotted to them and it seems this pace of occupation of land by Christian communities may [threaten the] Muslim majority of the capital,” it states. According to a report by Community World Service Asia, formerly known as the Church World Service, there are about 26,500 registered non-Muslim voters living in Islamabad. This implies that an estimated 50,000 to 70,000 Christians, voters and non-voters alike, live in the capital, which represents about three-quarters of the 84,591 total [registered] non-Muslim population in the capital’s slums. The colony came into existence after a young Christian girl was accused of committing blasphemy in 2012. 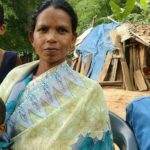 Rimsha Masih and the other current residents of this colony were then living in Meharabad Jaffar, when the 16-year-old was accused of burning Islamic texts, after which a mob wanted to kill her and burn down the homes of Christians. “Christian residents of Meharabad Jaffar fled and set up makeshift tents here,” Daniel Masih told World Watch Monitor. Illegal Christian slums can be found across the country, including several villages where Christians live on “shamlat-deh”, government-owned land dedicated for communal purposes. 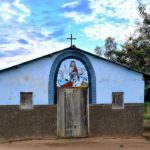 With a rising population, pressure is on Christians to vacate the government land they have lived on for decades. In 2009, seven Christians were burned to death by a mob after an accusation of blasphemy in Gojra. However, many suspected the accusation was just a cover to pressurise the Christians to leave their land. After the incident, the Gojra Christians fled. 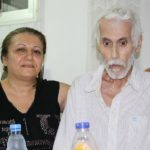 Seventy-three-year old Hanifa Bibi and her 80-year-old paralysed husband, Baba Sharif Masih, were the only Christians left when a mob burned their houses. “The fire hadn’t even been fully put out when some men started measuring with a tape the area they wanted to possess,” Hanifa Bibi told World Watch Monitor after the incident. Similarly, in March 2013, the Supreme Court found that land-grabbing was the prime motive for the burning of the Joseph Colony, another “katchi abadi” occupied by Christians since the 1970s. An industrial area has now arisen around the colony and factory owners are eyeing the Christians’ land. Christian settlements also have poor reputations as illegal trading posts for drugs, alcohol and prostitution. A report by the U.S. Commission on International Religious Freedom notes that Pakistani Christians are perceived as perverted in their beliefs and immoral in their practices. 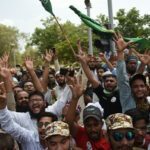 Students and teachers interviewed in the report said anger against religious minorities arises from “a feeling that they do not respect Islam and Muslims”. The Capital Development Authority has used negative feelings against Christians as part of its argument to the Supreme Court; it hints that Christians should “participate” more in the development of the country – away from Islamabad. “Pakistan is an agricultural land. Federal Government, along with Provincial Governments, may formulate policies regarding improvement in the economic status of villagers, by provision of loans/machinery/land, to the locals, so that they can make their earnings easily and resultantly participate in the development of the country,” the development authority’s report said. S.P. Singha suggested the same solution decades ago, saying that Christians should not be thrown out of villages but given some agricultural land. The Pakistani bureaucracy at that time disagreed. Now, Singha’s argument is being renewed: Give Christians land rights where they are, rather than exporting them back to villages. This article is based upon the author’s thesis, “Post-Partition Mass Displacement and Subsequent Illegal Settlements of Punjabi Christians in Pakistan”, to be submitted for M.A. Public Policy and Governance in Forman Christian College University.